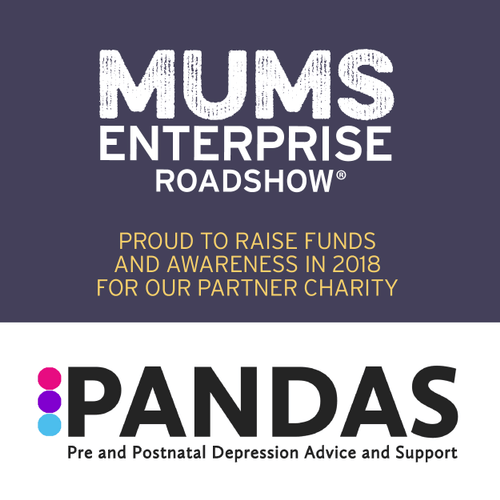 In June two members of the MummyJobs, DaddyJobs and FlexIsBest team attended The Mums Enterprise event in Manchester. We were so overwhelmed with the numbers that we plan to have the whole team there at the two day event in London in September. We spoke to so many mums from start to finish. It was so busy there was little time in between chats to even have a nibble of lunch! But what was clear is the large volume of mums who post maternity find themselves in a situation where they feel lost when it comes to the subject of careers. It is fair to say the day was a huge success, not just for us but for Lindsey, Lucy and the Mums Enterprise team too. We asked Lindsey how she thought the day went…. Well done Lindsey, Lucy and the rest of the team for an amazing Mums Enterprise event in Manchester. How are you feeling now it’s over? Thanks so much, we feel relief. These events have grown so much and that has been a conscious decision but it also comes with added personal, professional and financial risk to do so. With events – the outcome is unpredictable. We do all we can to ensure the day is as awesome as possible and obviously we market and promote the event and get pre registrations. The danger is you could still very well end up with a different outcome than expected. We feel so proud when we see our event busy and bustling, giving us a sense of relief that hard work was worth it. It must have taken lots of organisation, blood, sweat and tears to get such an event together but the outcome was brilliant and inspired so many women. How many women attended and what’s the feedback you’ve received so far? Yes it really does, we are in the exact same shoes as the visitors who attend. We have babies, families, work from home with a remote team and have worked for three years bringing these events to the world. They exist because I couldn’t go back to my city job after my first baby in 2013. I started an events business first before the idea struck for this in 2015 with the first events in 2016. Feedback has been amazing. We get inundated with messages of thanks and appreciation that the events are here and that they are just so so needed. We know the talent is out there, which is why we are so confident in taking such huge risks to do what we do. The events are inspirational. 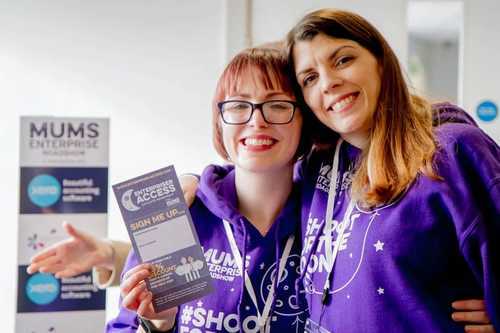 They offer practical advice, useful workshops, a great opportunity to meet like-minded and mums and discover real work or business opportunities. Opportunities many may not have known existed had they not attended. BUT events are never perfect, we manage our business by conducting live tests. For instance this event was the first event we kept open until 6pm. We wanted to see if mums would come after work or after school pick up. Some did, but it wouldn’t warrant us staying open that late again. So in future we will most likely close the event around 4.30pm. The next London event is another test, it will be the first time we have done a two day event and are trying one day to be a Saturday to see if that helps mums who are employed or can’t get the time off work, or can get help with the kids. One thing is for certain we must get more employers who are recruiting involved. Being a small team and are limited to the time we can spend actively selling and reaching out to new businesses. We will do more, but I am very pleased to have had over 3,000 satisfied visitors at Manchester. I mean that’s just incredible. The Mums Enterprise event was all set up to cater for children, with nannies and play areas set up in various locations. How important do you feel this was to encouraging mums to attend? Ideally we want a full creche but these events cost a heck of a lot of money. It isn’t cheap getting 3000 mums in once place so we do the best we can. This was the first time we had nannies in the workshop rooms as a mid-way option to trying our best to help those with children. We also keep workshops to only 30 minutes with 15 minute intervals – we feel this also helps. Next up is London on the 1st and 2nd of February 2019, what should we expect from this 2 day event? Well it’s going to be quite similar to the Manchester event. 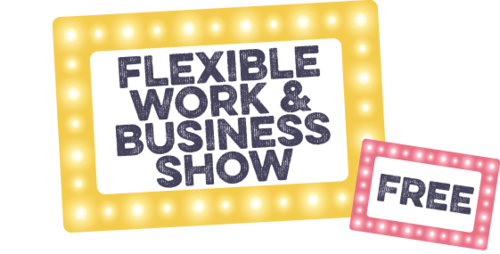 The same features, content and 5 exhibitors zones across Boost, Business, Flexible Work, Opportunity and Retrain & UpSkill. This time I am considering adding some longer mastermind sessions. Those who already run a business need more in-depth information which can’t always be delved into within just 30 minutes. But I need to work on the agenda and then decide. But the London show is again totally free and as mentioned is our first two day event and we are trying out a Saturday for show #7. I spent most of the day talking to mums from the MummyJobs.co.uk stand. So many mums feel at a crossroads in their careers or jobs now they have a family. So many feel they can’t return to work due to lack of flexibility or refusal to even discuss flexible working. Skills are waiting to be snapped up by employers. Employers must understand that by embracing flexible working they open up their doors to a wider talent pool. What would you say to the employers who still make the assumption that flexible workers lack ambition? Mummyjobs.co.uk is doing a fantastic job getting more employers onboard to highlight opportunities and careers. There is a huge movement happening. I wouldn’t say that employers don’t find flexible workers lack ambition. I think it is more about a shift and cultural change within a business that is the challenge. For large organisations especially, such a drastic implementation of change is a huge deal. There must be a diverse array of execs on boards to the traditional man and his pipe in order for that to happen. There is a huge movement and organisations are recognising that there really is a 4th revolution happening. Not just for mums but for the world the 9-5 will be extinct. It will happen and it’s the likes of Mums Enterprise, Mummyjobs.co.uk and many others who can help make change happen. It’s just going to take working together, supporting one another and not giving up. This is a long game. Unfortunately due to unforeseen circumstances the above event has been cancelled.